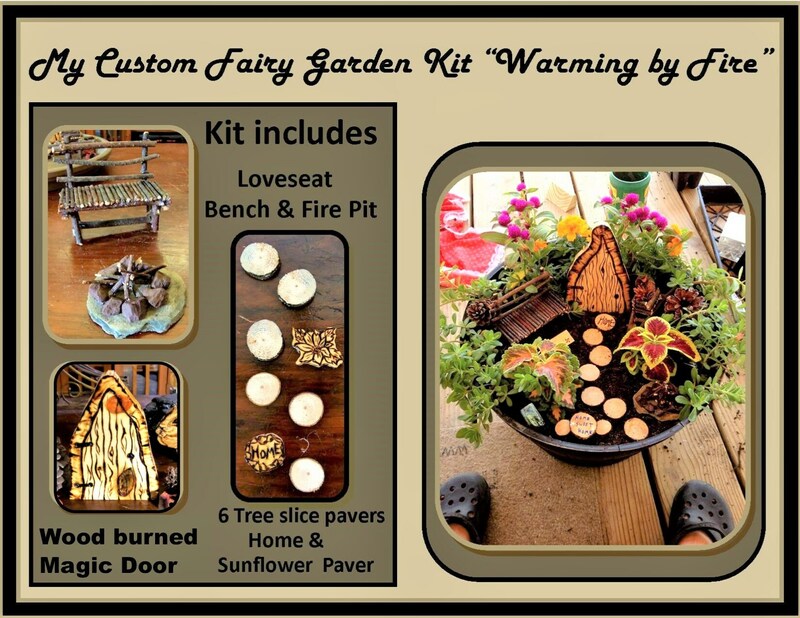 My Custom Fairy Garden kits! 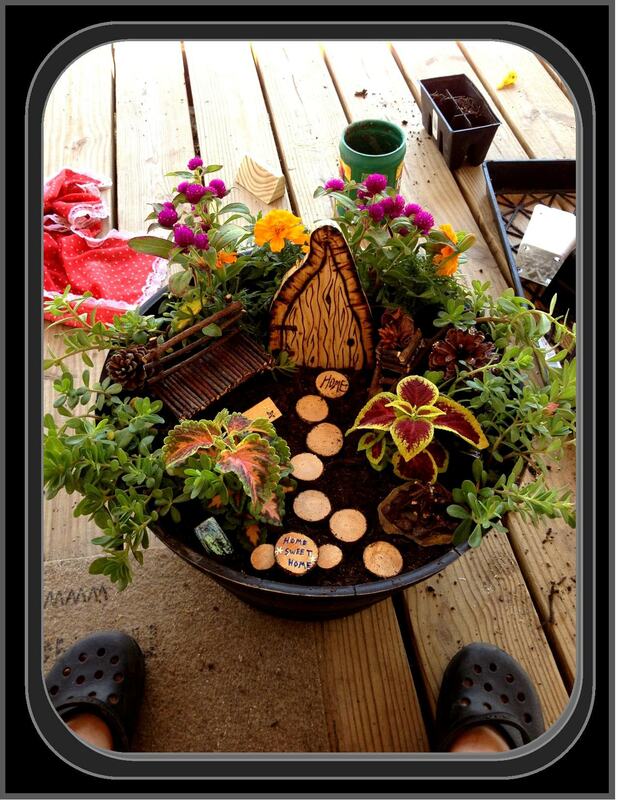 Hand Created with LOVE just for you! 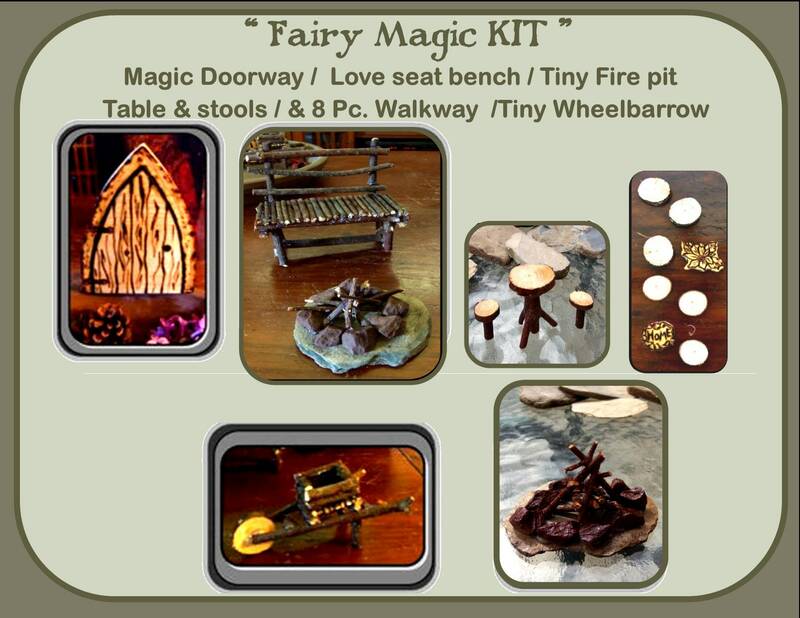 "Invite some Fairy (Faerie) magic into your world!" 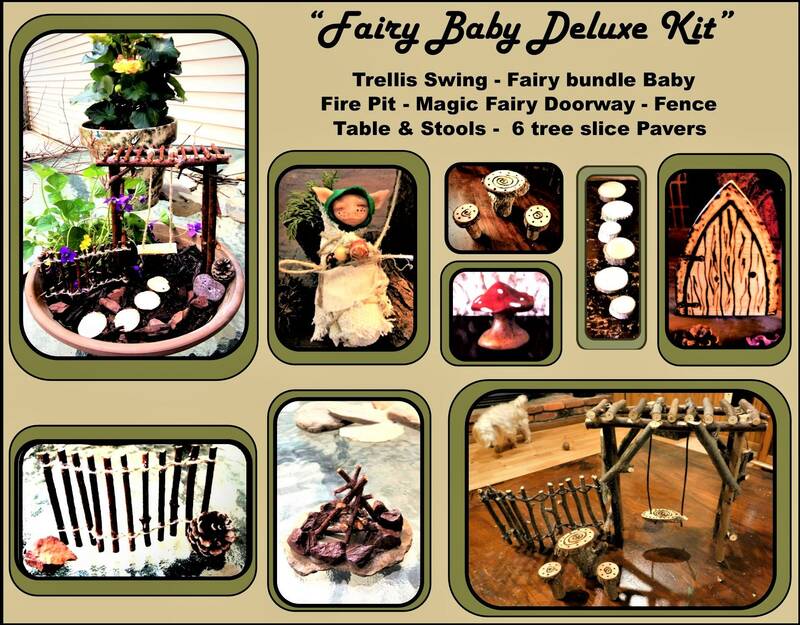 Fairies, Pixies & Gnomes "Fey" will love this Enchanted Garden, where ever you choose to create it! 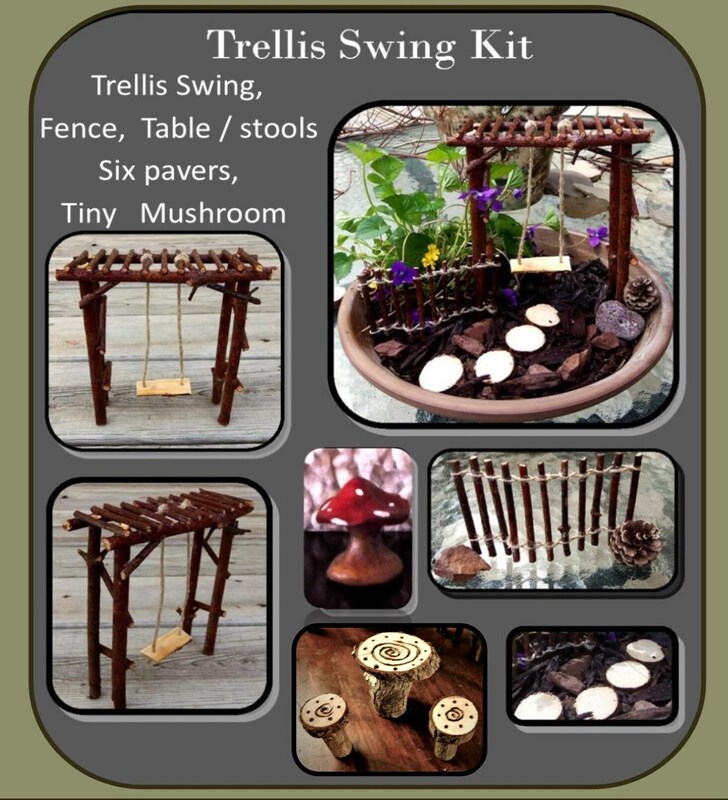 please see the link below for all of my items! your looking for please message me! 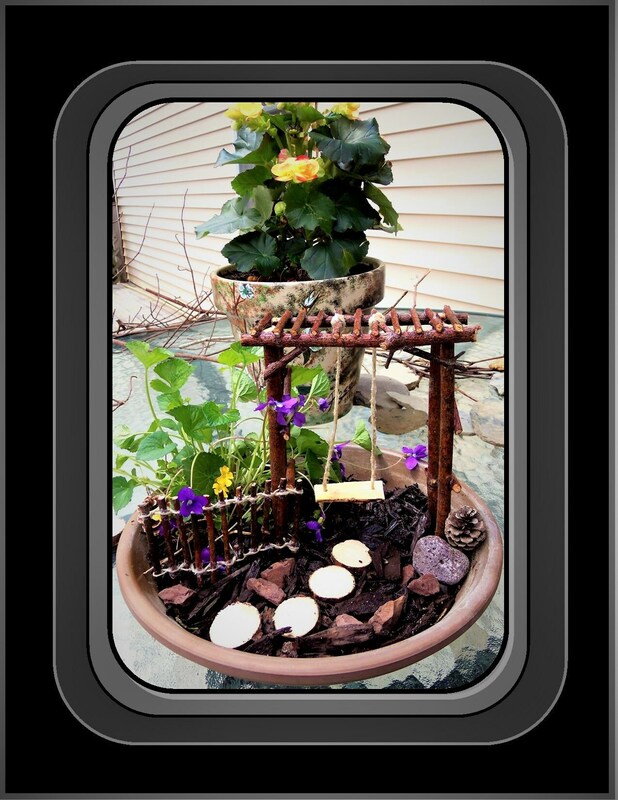 The Custom Designed, Wood burned and carved "Door" is enchanted passageway in your home or garden that creates a mystical portal. "Allowing the fay folk to travel between their realm and ours." Please remember that we, Humans, do not have the ability to open these doors, only the fairies can open them, and cross through from their Magical dimension into Ours! 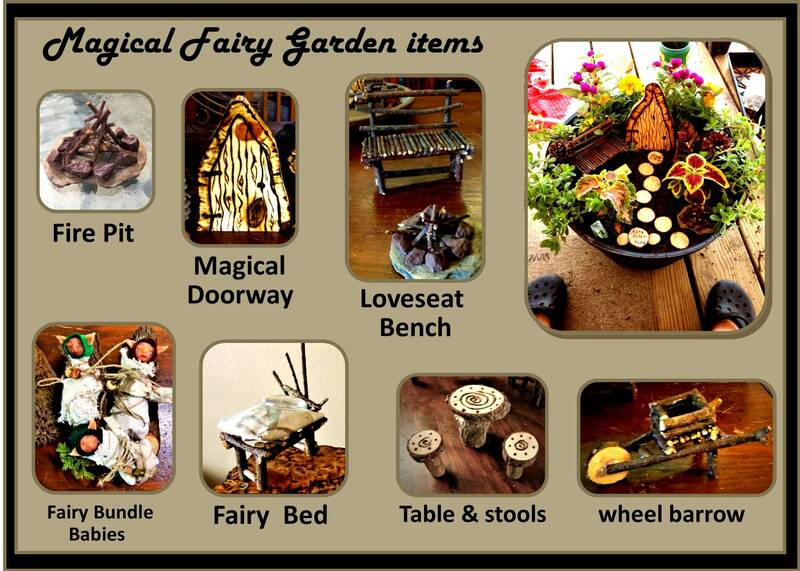 Fairies the come through your Door into your Magical Garden will feel welcomed and appreciative of the gifts you have given them. 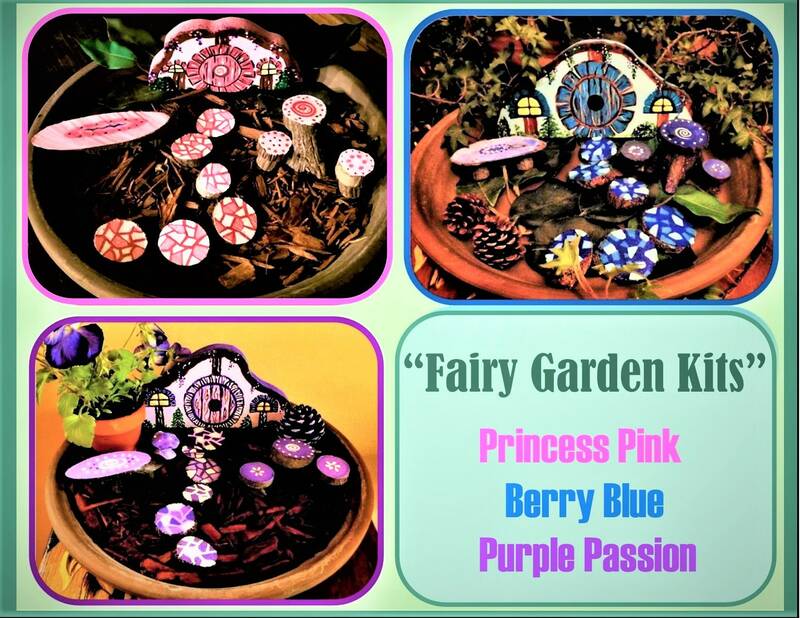 These Fairies will bestow gifts of gratitude upon you such as Happiness, Good Fortune & Wishes! 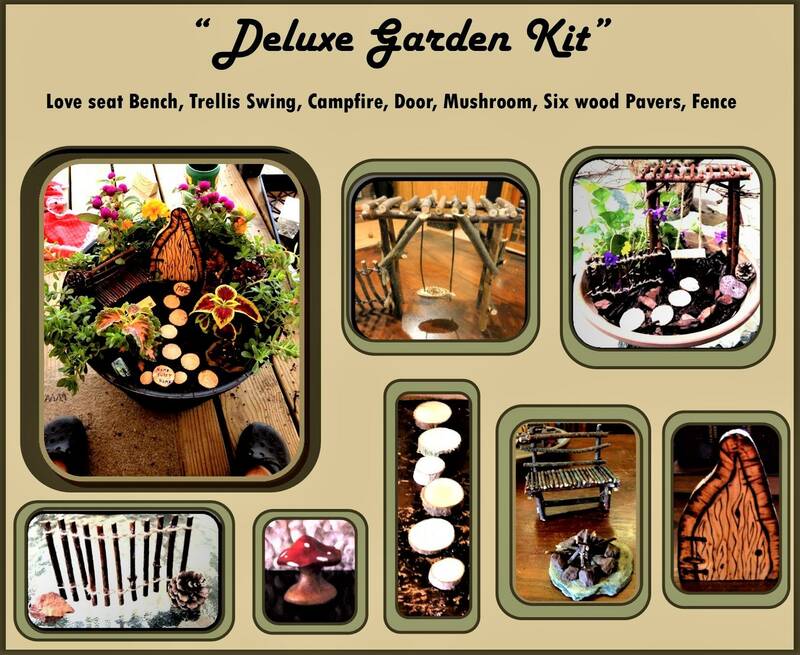 "Garden kits each come with my custom designed/ handmade items seen in each photo kit"
"The Flower pot bottom Display piece is NOT INCLUDED!" But don't be Surprised it you find something extra that the Fairies may have snuck in the box!